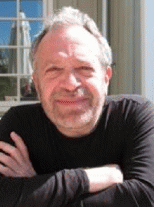 My guest today is economist, author and political commentator, Robert Reich. Joan Brunwasser: Welcome back to OpEdNews, Robert. You sent out a recent Common Cause missive about getting Congress to fix the Voting Rights Act. Why all the commotion? Robert Reich: Because several key states that, prior to the Supreme Court's "Shelby County vs. Holder" decision were under Justice Department review, are now free to put roadblocks in the way of minority voters. Unless Congress acts quickly to amend the Voting Rights Act, those states will be actively suppressing their votes November's midterm elections. JB: More background, please. Why were some states being supervised in the first place? Which ones? RR: They were southern states with long records of voter suppression. Even as late as 2006, Congress by huge margins reauthorized this part of the Voting Rights Act, recognizing that the problems continued. A majority of the Supreme Court -- all Republican appointees -- chose to disregard this explicit decision of Congress, and instead decide on their own that these states no longer merited Justice Department review. The Court used the fact that Barack Obama carried several of these states as evidence. JB: How often is the Voting Rights Acts reauthorized? Is it subject to the whims of Congress on a yearly basis? And since when has the Supreme Court weighed in on it? We need some more historical context. RR: Okay. Some background: The Voting Rights Act has been amended five times to expand its protections. Section 5 prohibits certain states from implementing any change affecting voting without first obtaining approval from the Attorney General or a three-judge panel of the of the U.S District, who must find that the voting change doesn't have a racially discriminatory purpose or effect. The states covered by that provision had engaged in the most egregious voting discrimination in 1965. Congress updated the formula in 1970 and 1975, and then, in 2006, extended the provisions for another 25 years with the same coverage formula. The vote in the Senate was 98 to 0, and George W. Bush signed it into law. That's what's so odd about the Court's reasoning in "Shelby County," only seven years later -- arguing that the coverage formula was unconstitutional because it was no longer responsive to current conditions. How did the Court know? That's also why it's so important for Congress to enact a new formula for determining what states are covered. Otherwise, none will be. View All 191 Articles in "Activism"
View All 36 Articles in "Author/books"
View All 25 Articles in "Court System"
Other Series: View All 28 Articles in "Documentary"
Other Series: View All 45 Articles in "economic inequity"
Other Series: View All 12 Articles in "film"
Other Series: View All 61 Articles in "grassroots"
Other Series: View All 73 Articles in "journalism"
Other Series: View All 25 Articles in "justice"
Other Series: View All 21 Articles in "legislation"
Other Series: View All 14 Articles in "teacher"